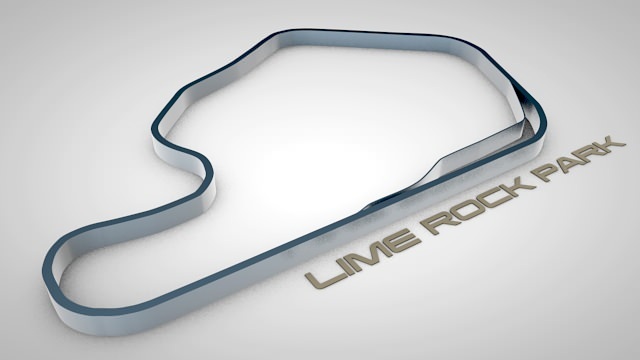 I signed up for the Skip Barber 1 Day Racing School at the American Le Mans Series meeting at Lime Rock Park in 2011. I had done a couple of driving events in the past in my road car and I thought it would be good to try some race-prepped cars. The fact that the day included the single seater Formula Skip Barber car was also a big draw. The classroom for events at Lime Rock is upstairs in the control tower building on the main straight which is a neat way to start the day. When I arrived I discovered that there were only six people signed up that day (they can have up to 16 in a class) and that there was a slight change to the schedule. Instead of using the MX-5 Cup cars in the morning and the Formula cars in the afternoon, we would be in the Formula cars all day. That was exciting and slightly nerve-wracking at the same time. I’d never been on this track and I’d never been in a single seater racing car. I was hoping to at least learn the track in a somewhat familiar car, maybe even with an instructor alongside, before getting into the Formula car. Oh well, in at the deep end. The class participants ranged from a personal trainer from New Jersey who was doing something on her ‘bucket list’ and had never been on a track before, a guy like me who’d done one or two events before, to a group of three friends who were really into it and had high performance road cars that they’d taken to several track events. The first part of the morning is all about the track layout, the cones they put at trackside to help with braking points and racing line, and the basics of vehicle dynamics. Once that’s had a chance to sink in, it’s time to get suited up and head down to the track. Because it was a small class, they split us into two groups for the first lead-follow session. The three experienced guys were put in one group and the rest of us were in the other. The idea of lead-follow is to keep about two car lengths from the car in front with the instructor at the head of the pack. After a couple of laps, the instructor puts his turn signal on going down the main straight which is the sign for the first student car to pull over and slow down while the other two overtake and the student who was first falls in line at the back of the pack. I noticed a few things about my first lead-follow session. Firstly, it’s hard to be the second student car because you’re still close enough to the instructor that you end up subconsciously following them and not the car immediately in front of you. It was a definite mental effort to brake when I got to the point on the track where the instructor was braking, not to hit my brakes when I saw his brake lights go on. Secondly, two cars lengths sounds like a close distance to be following at track speeds and it’s hard to get yourself to be that close to someone but I can see why they say that’s the right distance. It means you can follow the line of the car in front better and when it comes to swapping places on the straight, it takes a surprising amount of time to make up those lengths even when the person being overtaken slows down. We ran a few laps with the instructors in Mazda 3s and we students following in the Formula cars and then came back into the pits for a reshuffle. The experienced group were being held up by their instructor, so he switched to a MazdaSpeed 3 to lead them for the next session. In our group we were having to go at the speed of the inexperienced driver, so they split us into a group of two and one. They also gave the inexperienced driver a pep talk about how to drive on the track. It is harder to do than you think and the $3000 deductible, even if you’ve paid for event insurance, is always in the back of your mind (at least it was in mine!). After the morning’s lead-follow sessions there was feedback from the instructors, then a lunch break. The afternoon sessions were run as solo laps in what Skip Barber calls a ‘stop box’ configuration. After the track out marker at the end of the Downhill corner they set up three rows of cones to make two ‘gates’. At every lap you slow down and stop as they direct you to either the left or right gate. The stop box is a way for them to space the cars out on track so you’re never worrying about someone catching up with you and it’s a way for the instructors to give feedback to single seater cars. The instructors take up positions around the track and note each student as they go by. Then they radio back to the guys manning the stop box and if an instructor has feedback for you, the stop box attendant holds the walkie talkie up to your helmet. It’s only one way communication but it is surprisingly effective. While it breaks up the flow of a lap, it’s a good solution to giving instruction to single seaters and for a one day event is the best compromise I think. Driving a single seat racing car is very different to a road car. It sounds obvious and you go into it expecting it to be different, but to me at least, it was more different than I expected. I’ve played enough GT5 with the in-cockpit view that I wasn’t too distracted by sitting in the middle of the car with the front wheels visible in front of me, but I can see that that in itself would be something very new to get used to if you were doing this as your first racing experience of any kind. The main thing for me was the gears and the brakes. It’s fairly easy to get used to stomping on the accelerator when you want to go fast. That’s the easy part. The Formula cars have a sequential gearbox so there’s no way to tell what gear you’re in. You either have to remember and count up and down or just listen to the engine - not hard when it’s right behind your head! The cars were supposed to be able to change up without the clutch but needed the clutch to go down the box. I found that it was hard to break the muscle memory of using a clutch for one type of gear change only and I found my car baulked a couple of times trying to change up without the clutch. Maybe I wasn’t slamming the lever back hard enough, but whatever the reason I was more comfortable using the clutch going up and down. That might have cost me a few tenths, but we weren’t racing and we weren’t timing laps. The hardest thing for me to get used to was the brakes. I knew in my head that racing brake pads are much better than road ones and only work well when they’re hot, but it was still hard to break the habit of road driving and being smooth on the brakes. There’s no power assistance and you’re effectively pressing down the head of a large bolt for a brake pedal, so the effort needed is very different to a road car. In a racing car the idea is to go as fast as you can right up to the point where you have to hit the brakes and then to hit them as hard as you can without locking up the wheels. A lot of the feedback I got was that there’s a short straight between turns 2 and 3 and that I should get on the power more coming out of turn 2 and brake harder going into turn 3. Of course, the first time I tried that, I didn’t brake enough and ran wide on turn 3 onto the grass. Luckily there’s a lot of grass there, so no harm done except to my ego. I did get better at braking later. Coming out of turn 3, there’s a nice run through turn 4, down No Name Straight, through turn 5, over the crest and into turn 6. That was my favorite section of the track and I was getting better at braking later into 5 & 6. Going over the crest at the exit of turn 5 is quite an experience. There are a lot of skid marks to show you what can happen if you get it wrong - they go shooting off to the right at an alarming angle. That made me very cautious to start with but by the end I was getting the feeling of the car going very light and being a bit squirrelly on the way back down. The trick they told us is to make sure the car is heading straight as you go over the crest - if you’ve still got any steering input in the car, it becomes sudden oversteer when the wheels get loaded up again on the other side. The part I was least happy with was turn 7, Downhill. There were two parts to my frustration. Firstly that it’s hard to keep your foot planted on the accelerator when you’re dropping six stories downhill into a 90 degree corner and secondly the fact that the stop box was around the corner really messed with my head and my trust in the brakes. I was so cautious about not locking up and skidding into the back of potential stopped cars that I backed out of the corner too early. Probably the most feedback I received was to go harder into Downhill. They were happy with my line and where I was hitting the apex, I just needed to go faster into it and faster through it. There is a compression effect as you go down the hill and into the corner which gives more grip so you can take Downhill much faster than you think you can at first. The trouble is, you have to believe in your ability to stop before the stop box once you’re going in faster. I was getting it towards the end and it was great to feel that the car was so much more capable than I was, but it’s very hard to turn off your road driving brain. Overall I had a great time. We did three stop box sessions in the afternoon and I felt that I was improving all the time. At the end of it, I didn’t want to stop and my heart really wanted to go out again, but it is physically and mentally demanding and I think the experience of the instructors shows through in knowing when to stop. Partly they want you to leave wanting more, but mostly I think they know that the adrenaline rush means that people would stay out long after they’re too tired to really control the car and that would mean more errors. I don’t feel like I mastered any of the circuit, but I felt like I was really getting it in the section from 3 through 6. I don’t think I got the turn in point to turn 1 right all day, and that has a knock on effect to turn 2. Also through 1 and 2 I was thinking about turn 3 already which was the one I found hardest to get right, so that was probably a distraction. Downhill was very difficult, but I felt like I’d improved a lot there by then end of the third session. I didn’t pay for the official photos or video but I had borrowed a friend’s Go Pro. The lasting impression is that it felt a lot faster from the driver's seat than it looks from a camera on the roll hoop!